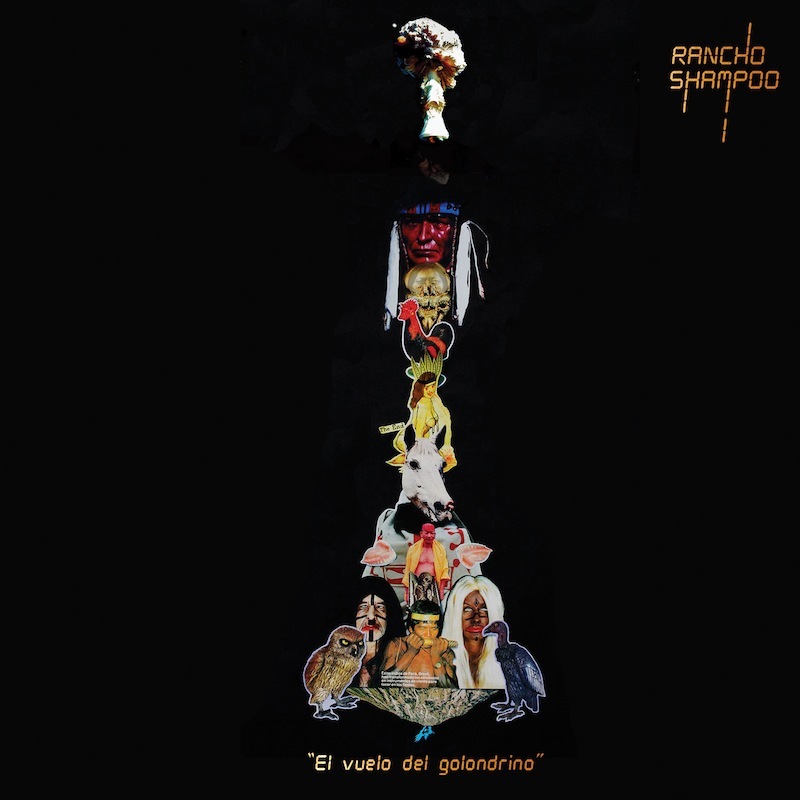 Rancho Shampoo and La Indian Gold Orchestra are a music sect comprised of Rubén Alonso Tamayo, Rodo Ibarra, Hernán Franco, David Bautista Toledo, Julián González, Valentín Torres, Gerardo Montoya, Cristian Franco and led by the shaman Rancho Shampoo. This project was born in a village on the now mythical Sangrado de la Panocha Mountain near the Almondroids and Piedra Anclada. 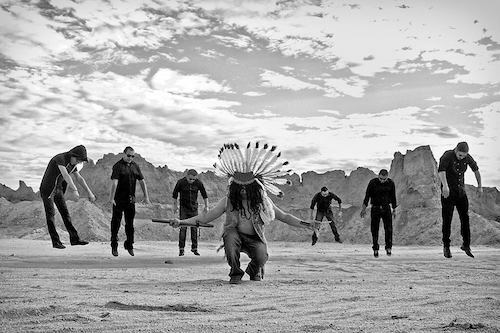 They united forces to abolish the musical wickedness that is planted at the edge of the river which produces the fruit that only they can recollect with their magical insights. Rancho Shampoo and la Indian Gold Orchestra will make everything prosper and the unbelievers will run away, just like they did at Sodom and Gomorrah. The ones who dare to look at their eyes will turn into a statue of salt as their Rayovac ancestor protects their sacred path. Remember, the ways of the wicked always end terribly. Stream on Spotify or buy on iTunes or Google Play or Amazon. 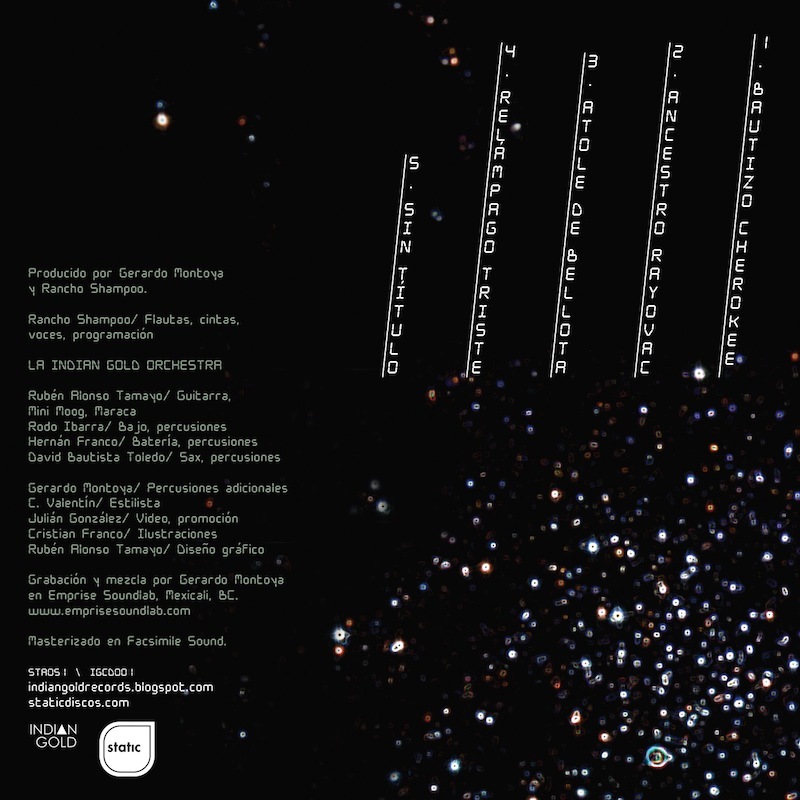 El Vuelo del Golondrino is a co-release between Static Discos and Indian Gold Records.